In an age when marriage and sexuality are attacked on many fronts, Father Jay has dedicated his work to helping couples form marriages that meet God’s vision for the family and to enlighten couples regarding Catholic sexual ethics. 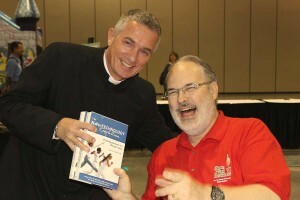 Father Jay is a consecrated priest of the Secular Institute of Consecrated Life Holy Family in Poland. He holds a doctorate of theology in marriage and the family, is a lecturer at the Faculty for Studies on the Family at Cardinal Stefan Wyszynski University in Lomianki and is a chairman of the Family Support Foundation, which develops the Love and Life Programs and offers them worldwide. For more information about these programs, please visit www.love­andlifeprograms.org. Paul Comeau in front of the “Miracle on Mercy Road” in Omaha in 2014. 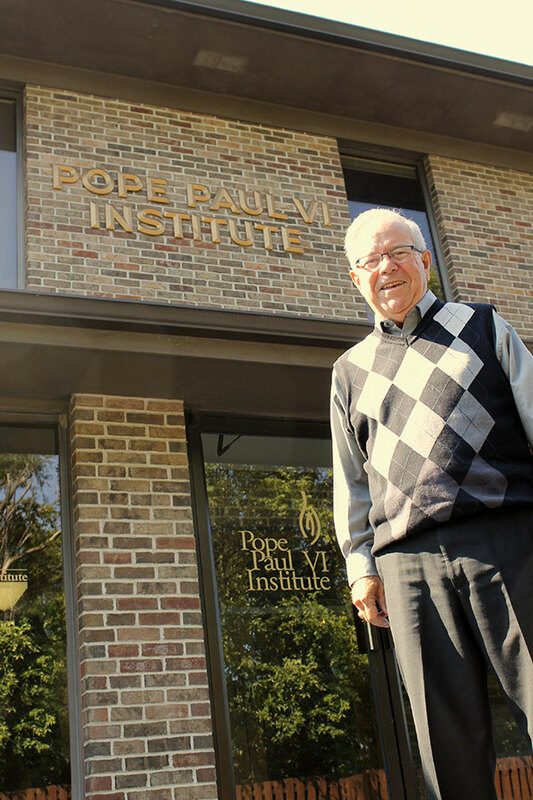 Longtime Pope Paul VI Institute Board Member, Paul Comeau, is proud to recount the Institute’s many accomplishments since he joined the Board of Directors almost 30 years ago. A former attorney for Union Pacific, Comeau was contacted by Dr. Thomas Hilgers in the early 1980s for help in finding a location for what would become the Pope Paul VI Institute. When Comeau joined the Board more than 30 years ago, the Institute consisted of the Hilgers, Dr. Hilgers’ research, and a vision for an Institute that would meet Pope Paul VI’s appeal to medical professionals (as stated in Humanae Vitae). The car wash formerly at 6901 Mercy Rd. 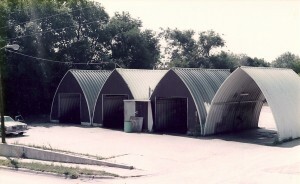 in Omaha.